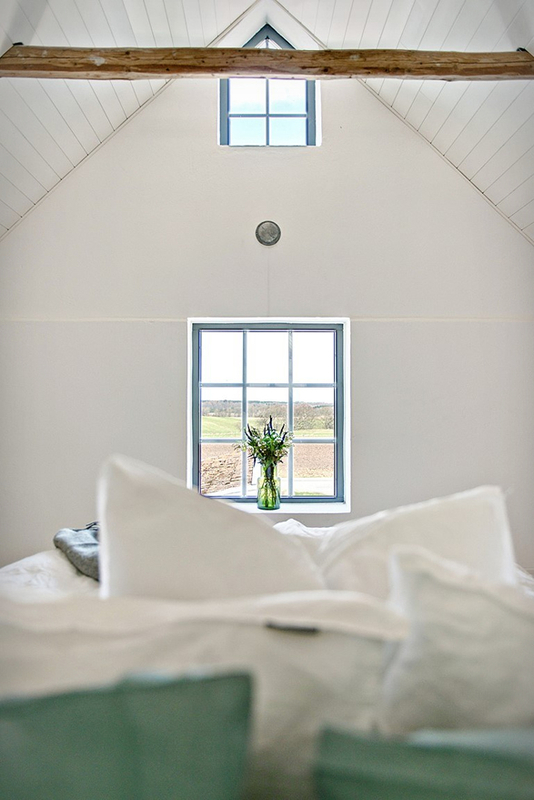 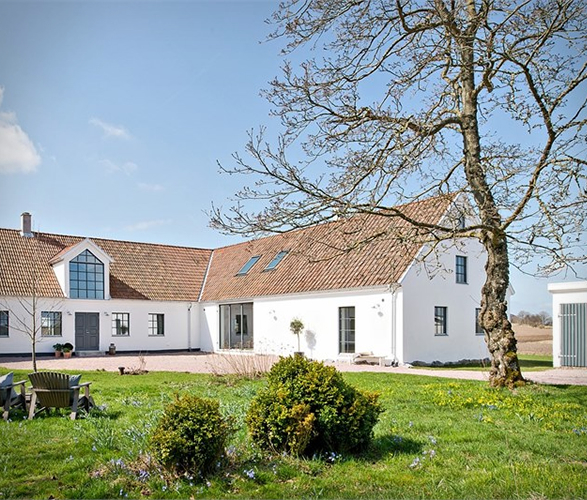 This gorgeous barn conversion is up for grabs! 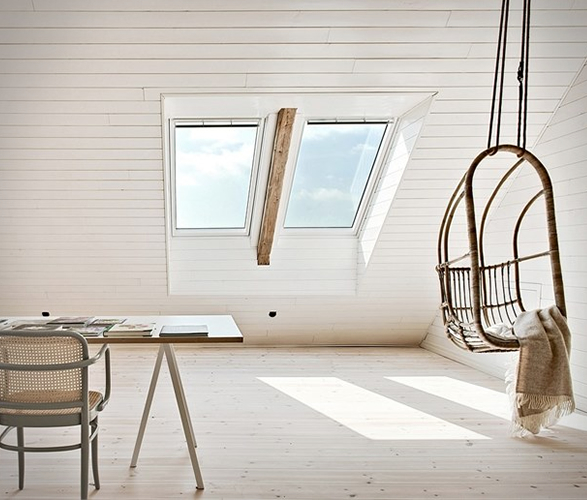 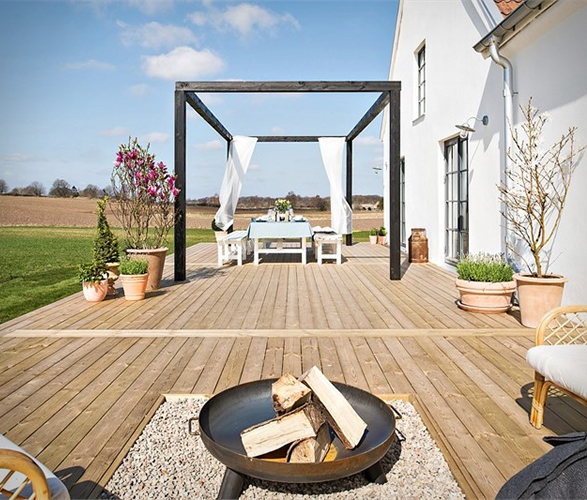 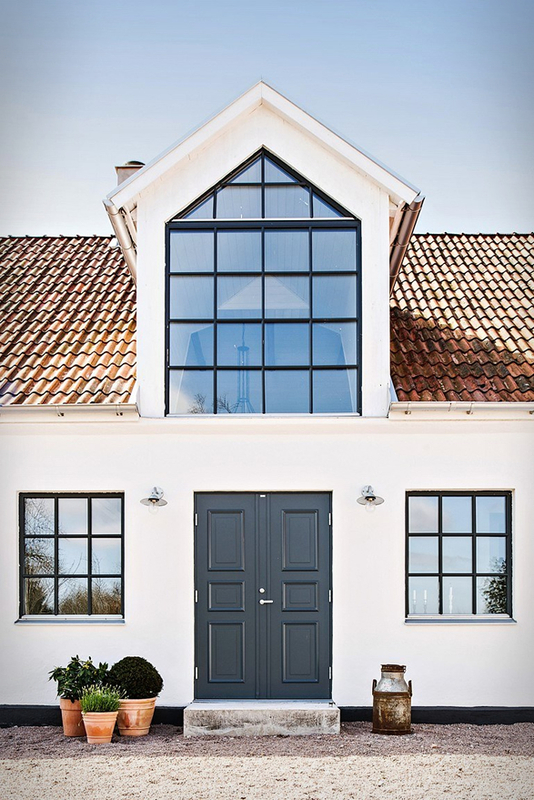 Located in Osterlen, Sweden, this contemporary four-bedroom home is the stuff of dreams. 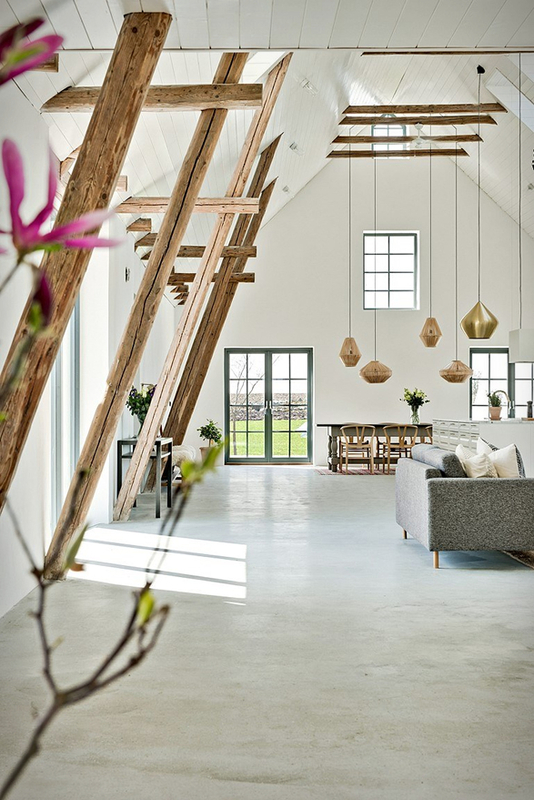 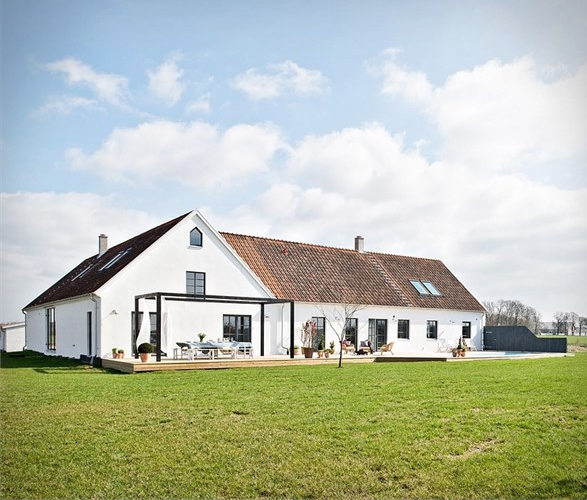 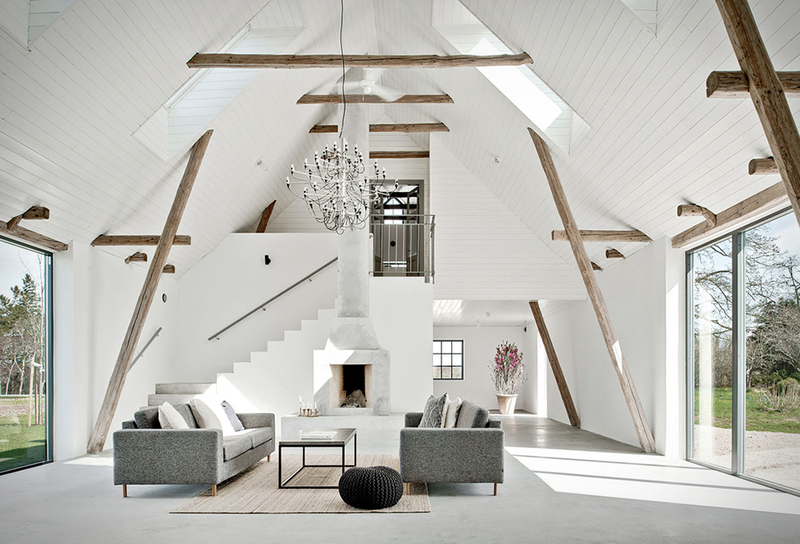 The 4,200 square feet property started as two barns built in 1901, but was converted into a beautiful farmhouse with a bright minimalist aesthetic, generous living areas, and a huge ceiling height showcasing the structure´s strong bones. 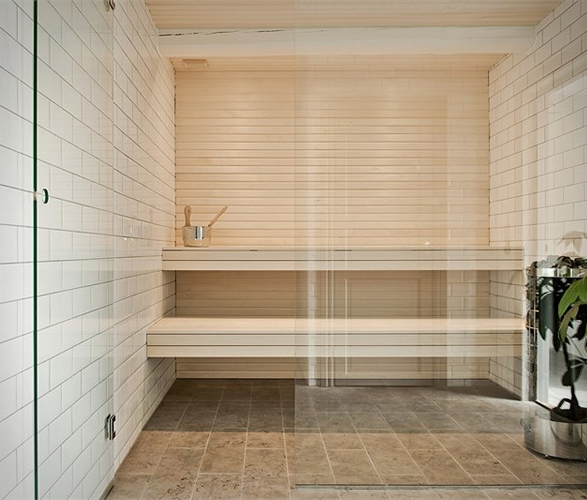 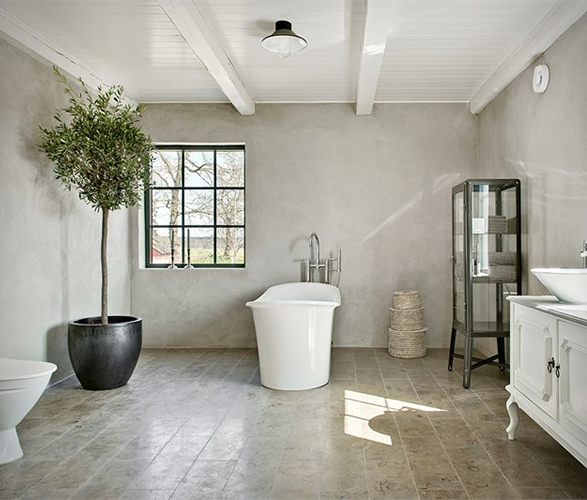 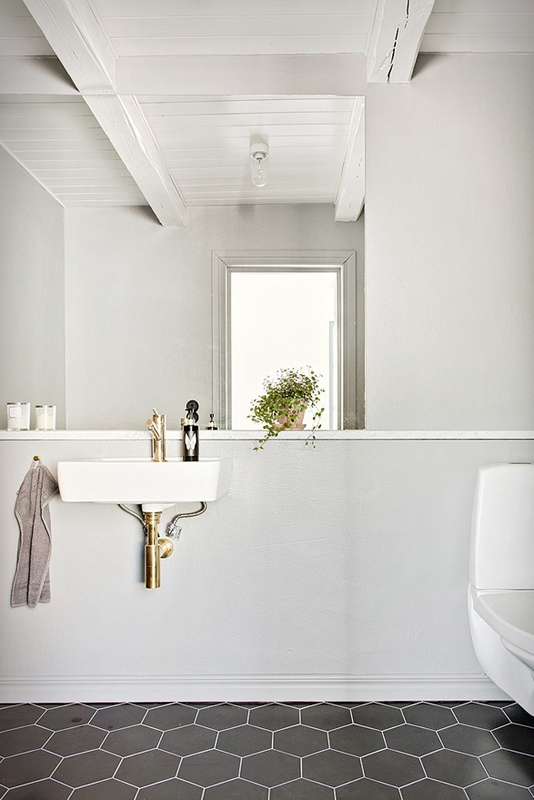 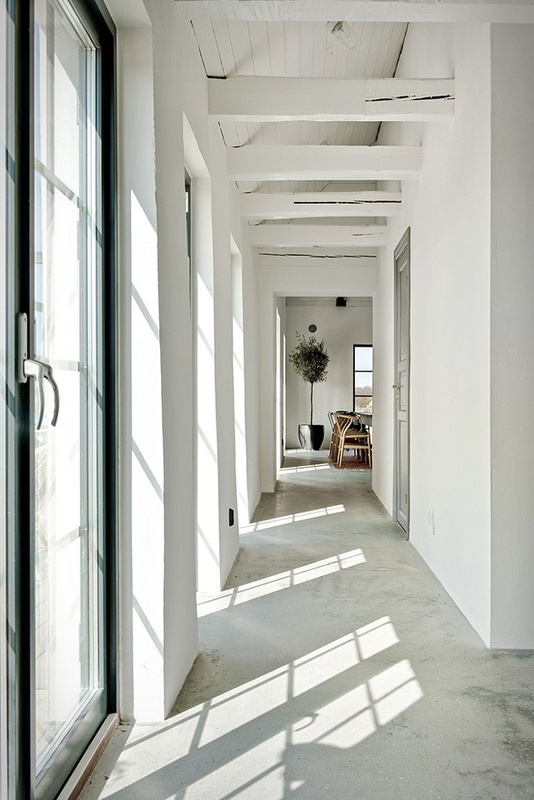 The property´s rustic roots were conserved and are combined with a soft minimalist vibe. 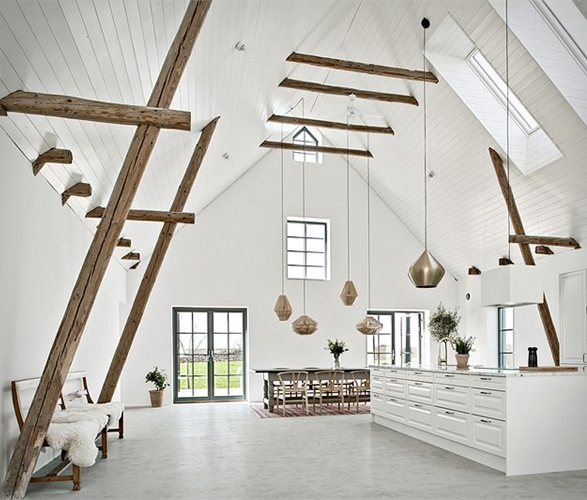 Details include wooden beams in the ceiling, polished concrete floors, and black-framed windows that peek out onto the surrounding fields. 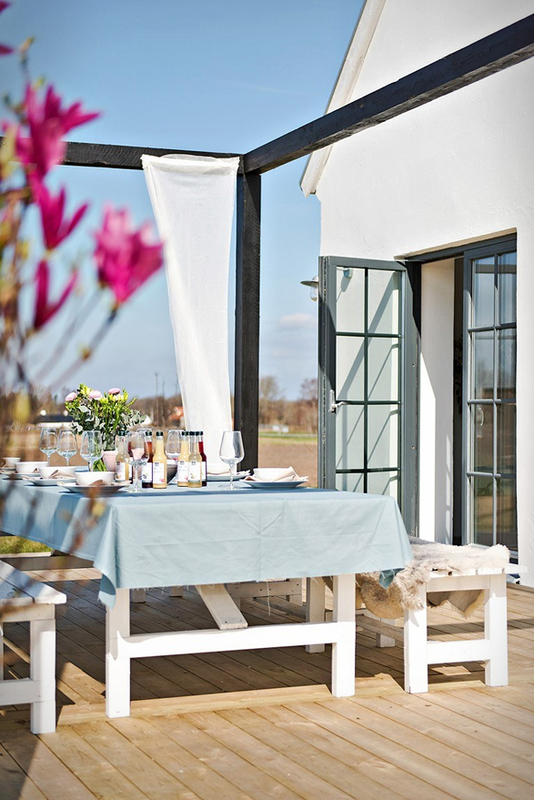 Large glass doors lead off the bespoke kitchen onto a wooden deck area and pool, with views of the beautiful surrounding countryside.